By Caroline Crampton March 26, 2019, 11:16 a.m.
Last year, Google launched its own podcast app for Android users — they’ve also said they will launch a browser version for computers soon. Google has since begun to direct people who search for a BBC podcast into its own podcast service, rather than BBC Sounds or other third party services, which reduces people’s choice — an approach that the BBC is not comfortable with and has consistently expressed strong concerns about. We asked them to exclude the BBC from this specific feature but they have refused. This refers to the integration of the Google Podcasts app with Google search and the rest of the Google ecosystem. Since Google’s much-publicized re-entry into podcasting last year, it’s been the case that when you search for a show using Google, you get a “recent episodes” component to your search results with play buttons beside each one that uses the architecture of the Google Podcasts app. As Podnews noted in its early reporting on this story, the BBC is now using robots.txt on its podcast server to prevent Google indexing any episodes published after March 19 in this way. You could read this as a classic publisher-platform dispute: The BBC now considers Google a competing distributor, one that uses its search dominance to push users towards their own podcast product. (I mean, welcome to the internet, I guess?). For background on this, we should look at the rules that govern how the BBC distributes its content. Clifton references the BBC’s Distribution Policy, which doesn’t address this topic directly but sets out the conditions under which the BBC allows its output to be made available on other companies’ platforms. The broad headings are: prominence, editorial control, branding/attribution, quality, data, free access, and value for money. This policy appears to agree with the BBC’s regulator, Ofcom, the body which scrutinises the BBC’s operations to make sure all is as it should be. Given that the BBC is funded by the public through the license fee — read my explainer on how that works here — how the corporation creates and distributes content is constantly monitored to make sure that it’s providing value for money while being as accessible and representative a broadcasting service as possible. In light of this public remit, it’s a big deal for the organization to pull a substantial part of its audio output from a platform as huge and widely used as Google. But just how big a deal is it, though? 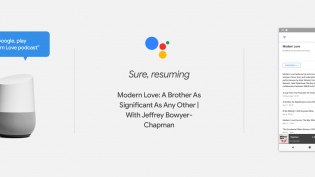 Smart speakers (and audio distributed via Google Podcasts) are a small segment of the audio market so far, but Google Podcasts is now preinstalled on many Android phones, giving the platform vast theoretical reach. Ofcom will no doubt be looking into this decision in detail, and for what it’s worth, its guidelines do allow for the BBC to stop working with a third-party platform in cases where there is “an objective justification” for doing so. “Objective justification,” of course, is where the rub lies. 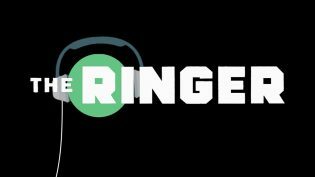 Has Bill Simmons’ The Ringer figured out the model for podcast success? Meanwhile, there’s another strand to this: the BBC Sounds strategy. As I’ve covered extensively over the past few months, the BBC’s bespoke audio app — their biggest product launch in a decade — has had a somewhat rocky start since its launch in autumn 2018, with mixed reviews and experiments with show exclusivity that proved unpopular with some listeners. But the BBC has consistently doubled down on the app’s benefits, putting out statements about how “the response to BBC Sounds has been overwhelmingly positive.” Essentially, the BBC seems to believe it’s worth more to try to move podcast listeners into its own app than to reach them on whatever platform they currently use. For what it’s worth, Chris Kimber, a BBC product manager working on BBC Sounds, tweeted that the removal of BBC shows from Google was “unrelated to any exclusivity trial,” which makes sense — this is a more fundamental issue of how the BBC interacts with third parties over its own app. The part I think is particularly relevant to this matter with Google first emerged in an interview that BBC Sounds launch director Charlotte Lock gave about the negative audience reaction to the Fortunately… with Fi and Jane podcast going temporarily Sounds-exclusive back in January. Lock made the point that when listeners consume BBC audio content through the BBC Sounds app, rather than via RSS feed on a third-party platform, the BBC is able to capture more audience data. She spun this as a positive for listeners, because it enables the BBC to offer better “tailored recommendations,” although at the time I was a bit skeptical that “a corporation wants more data about you” was going to be a strong motivator for listeners to use the app. We also want to make our programmes and services as good as they can possibly be — this means us getting hold of meaningful audience data. This helps us do a number of things; make more types of programmes we know people like, make our services even more personalised and relevant to people using them, and equally importantly, identify gaps in our commissioning to ensure we’re making something for all audiences. My reading of this situation is therefore as follows: The BBC wants Google to direct listeners straight to BBC Sounds (which has a web version which is accessible internationally; the app is U.K.-only), rather than prioritizing the fact that they can play the shows through Google search or on other Google platforms. Google, unsurprisingly, refused to make this substantial exception to its own business model. As a result, the BBC deployed robots.txt and is now presenting this move as a beneficial one for listeners, who will give the BBC more data by using Sounds instead, thus influencing the long-term direction of BBC audio content. Clifton’s blog even describes the BBC’s actions as having been taken “for the good of listeners.” “For the good of BBC Sounds, internally thought to be good for listeners” might be more accurate. Unfortunately, I don’t think this reasoning quite stacks up. It’s logical enough for the BBC, which is desperate to make BBC Sounds work after all the resources and effort that’s been poured into it. But I think the benefits are more on its side than on listeners’, who now have fewer outlets where they can access BBC material. The BBC’s gamble is that listeners love their content enough to follow it to the Sounds app, but I’d guess that a reasonable proportion — especially those who do the bulk of their listening on a Google Home for accessibility reasons, say, or through Android Auto while driving — will just switch to other podcasts that are available on their platform of choice. As a strategy, this would be fine if the BBC was a profit-making private company: You sacrifice some listeners in order to get greater value from the really loyal ones willing to use your app. But the BBC has this obligation to be as open and accessible as possible, and so far I’m not convinced that “we can do better recommendations if everyone uses BBC Sounds” trumps the necessity of distributing their audio as widely as possible — although ultimately that will be for Ofcom to adjudicate. It’s worth remembering, too, that BBC Sounds has been cited by BBC execs as a way of re-engaging younger audiences turning away from BBC radio in favor of other streaming platforms. I’ll await the regulator’s view on that with great interest too, especially since that the corporation’s failure to reach young people was a major part of Ofcom’s latest performance report for the BBC. This wrangle between the BBC and Google is by no means over, though, and this could all still change. Clifton notes in his post that “we are in discussions with Google to try and resolve the situation and will continue to work with them to try and come to a solution that’s in the best interests of all listeners.” I can’t help feeling that this is just an early skirmish in the chess game: The BBC called a bluff and pulled their shows. Your move, Google. This is an excerpt from this week’s Hot Pod; see the entire issue here. 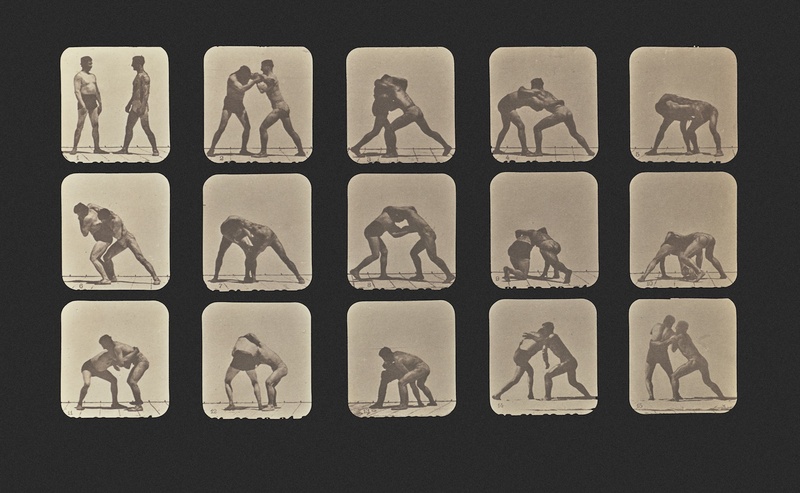 Image based on “Wrestling” by Eadweard J. Muybridge. POSTED March 26, 2019, 11:16 a.m.
Crampton, Caroline. "The great British brush-off: The BBC and Google are fighting over who gets to control the podcast experience." Nieman Journalism Lab. Nieman Foundation for Journalism at Harvard, 26 Mar. 2019. Web. 24 Apr. 2019. Crampton, Caroline. "The great British brush-off: The BBC and Google are fighting over who gets to control the podcast experience." Nieman Journalism Lab. Last modified March 26, 2019. Accessed April 24, 2019. https://www.niemanlab.org/2019/03/the-great-british-brush-off-the-bbc-and-google-are-fighting-over-who-gets-to-control-the-podcast-experience/.